Saltare: Bring Real Business Intelligence to Organisations, Earn a Huge 40% Commissions + Residuals per Client! Be Part of what's got BI Industry Analysts so Excited! Leads Provided!! Saltare empowers organisations to get the most from business intelligence technology. BI technology is just a tool, and like any tool it must be used properly to deliver results. We provide a range of services that enable businesses to use the right BI tools in the right way for maximum benefit. So far, we've helped global businesses including Walt Disney and Clarks Shoes to achieve their BI goals. Industry analysts such as Bloor are publishing articles about how we're disrupting the BI marketplace, and we're fully supported by skilled marketing and PR teams that are spreading the message of our success. From this solid foundation, we're well poised for significant growth. We need highly skilled, UK based, trustworthy and enthusiastic sales partners to join us for the exciting journey ahead, and help us convert a growing number of interested organisations into new business. Every business can benefit from BI. We’re here to make it happen. We're looking for high-calibre individuals that will forge long standing partnerships both with Saltare and our customers. We naturally place a high importance on the core values of honesty and integrity, and want to work with sales professionals that will be ambassadors of our brand and be advocates of 'real' business intelligence. It's essential that you're comfortable dealing with C-level and senior people, and effective in discussing complex business cases and negotiating high-value contracts. 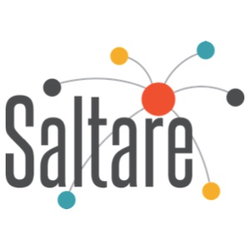 Our service and ethos revolves around high business value, so you must be able to convincingly discuss and communicate your personal understanding of the business challenges that Saltare solves, how we solve them, and why that is beneficial to our clients. We're looking for sales professionals who are enthusiastic and capable of engaging with Saltare at a strategic level, and play an active role not just in sales but also customer account management, and in defining and executing key parts of Saltare's ongoing plans for growth.